Deadwood’s meeting facilities are ideal for corporate retreats, meetings and small gatherings. Facilities offer a variety of amenities and options to make your meeting one for the history books. Hold your meeting or retreat in one of Deadwood’s first hotels. The Bullock Hotel can handle all the catering and beverage needs for your event. Cadillac Jack’s has multiple rooms that can comfortably seat up to 450 guests. Valet parking and onsite dining, catering and beverage service. 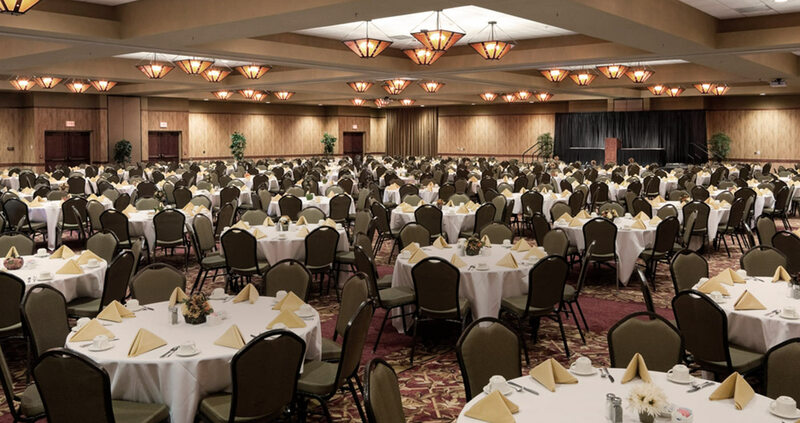 Located in the Deadwood Gulch Resort you can book this space for your next meeting, conference or convention for only $5 per person. Part of the Deadwood Gulch Resort, you’ll find meeting rooms that can accommodate up to 240 people. Located on Historic Main Street, the Elks Lodge offers modern meeting rooms and catering. It’s where Deadwood begins! Located on the spot where gold was first found. Meeting rooms, A/V, catering and more. This Hampton by Hilton has flexible space for small meetings and retreats. Onsite catering, hotel and Deadwood’s only full-service Starbucks. Hickok’s Hotel boas 22 restored hotel rooms, award-winning pizza pub and intimate meeting space. The Holiday Inn Express and Suites is located right in the heart of Historic Main Street. We’re ready to accommodate you. The Homestake Adams Research and Cultural Center (HARCC) has a variety of meeting rooms, a full kitchen and beer and wine license. The Martin Mason 1898 Ballroom is an elegant formal historic ballroom for receptions, dinners and more.